One student was killed and another injured after a school shooting in Birmingham, Alabama, on Wednesday. The police have taken a “person of interest” into custody and are still investigating the possibility that the shooting was accidental, according to CNN. Charges are pending, and the identity of the shooter has not been named. The shooting took place at Huffman High School as students were being dismissed for the day, resulting in a brief lockdown at the school. The student who died was 17 years old, had just been admitted to college, and was planning on becoming a nurse. 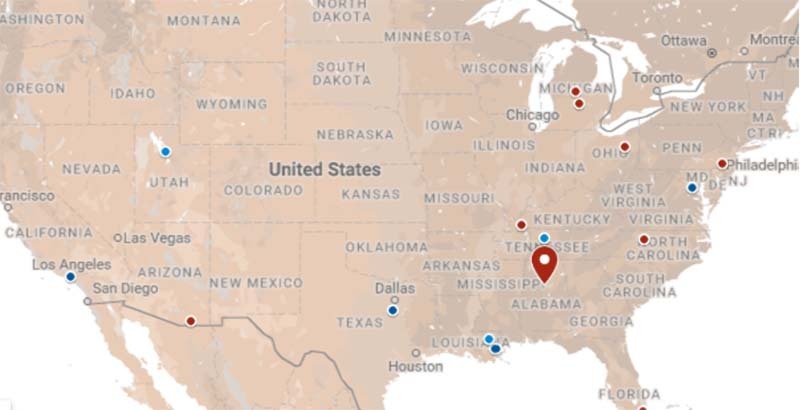 Throughout 2018, The 74 is tracking in real time — or close to it — shootings at American schools. Our analysis will focus on incidents that occur on school grounds and result in injury or death. That includes suicides, which account for nearly two-thirds of all firearm deaths in the U.S., according to Centers for Disease Control and Prevention data. Nationally, nearly 1,300 children (17 years old and younger) die from gunshot wounds each year and 5,790 are treated for injuries, according to a recent Centers for Disease Control and Prevention report. While unintentional firearm deaths and homicides of children have decreased in recent years, suicides have spiked. If we’ve missed a school incident you think should be included in our coverage, please send an email to info@the74million.org, and bookmark this page for the latest reports of incidents involving the discharging of a firearm that causes a wound or fatality on school property.